1-1/4" = 32mm Wide italian saddle leather belt. Fashionable dots pattern in the front of the belt. Casual jean belt for a proper fit. This color can be matched with white, jean blue, gray, khaki, green, yellow, red, and beige. 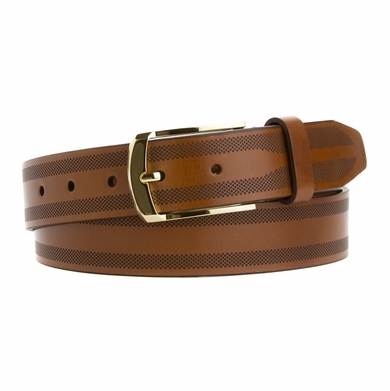 This belt can be use for dress and casual clothing.